The regular monthly Deals brochure is packed full of products from leading suppliers as well as our exclusive own label range. All products and deals are carefully selected throughout the year to offer you the best sales opportunities with seasonal variations when appropriate. Easter isn't just about chocolate eggs anymore, we would go as far as saying that many now envisage it as a 'mini Christmas', shoppers use this four-day break to celebrate together and indulge. Use this cracking opportunity to drive footfall, maximise on sales and cash profit. We offer you a very comprehensive range with key prices for you capitalise on this 'eggscellent' opportunity so don't miss out! Incredible spring deals from top brands, with the bonus of some outstanding one week deals on selected products. Plus the chance to win in the 'Spring £5000 Jackpot'. These super spring savings are available through to 11th May 2019. Ramadan involves a month of fasting each day. It also means eating properly for the two meals at either end of the day. The pre-dawn meal is called suhoor and the evening meal is called iftar, which is eaten at sunset. Many Muslim families stock up on essentials so they can serve nutritious meals for both of those. Our range of Ramadan deals includes some amazing deals for Rice, Oils/Ghee, spices, pulses, fruit and soft drinks for your customers. When they're gone, they're gone! Every month we offer five to six essential products at unbeatable prices, on a first-come, first-served basis. Only available in branches, each Fantastic Deals promotion features products that every foodservice business needs, including leading food and drink brands, the best-selling non-food names including cleaning and hygiene, and products showcasing the very best from our exclusive Essentially Catering and Essentially Cleaning ranges. Each Fantastic Deals promotion lasts for the full calendar month, but supplies are strictly limited, so pop in to your local depot and grab a bargain. Don't miss out – sign up now! 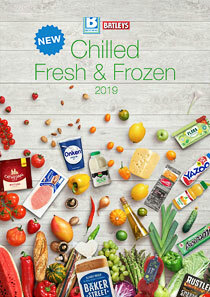 Welcome to the new Chilled, Fresh and Frozen 2019 product brochure. Packed full of thousands of product ideas! With our extensive range we are a one-stop solution, offering high-quality meat, market-fresh fruit and veg, a wide range of chilled, bakery and frozen products, all ready in your local depot, to order via our easy-to-use website, or by phone via our dedicated call centre. 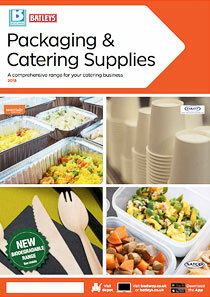 We offer a quality range of Packaging & Catering Supplies giving you everything you need for your catering business: Boxes & Containers, Hot & Cold Drinkware, Tableware & Cutlery, Catering Supplies and our Biodegradable & Compostable range all at fantastic prices.